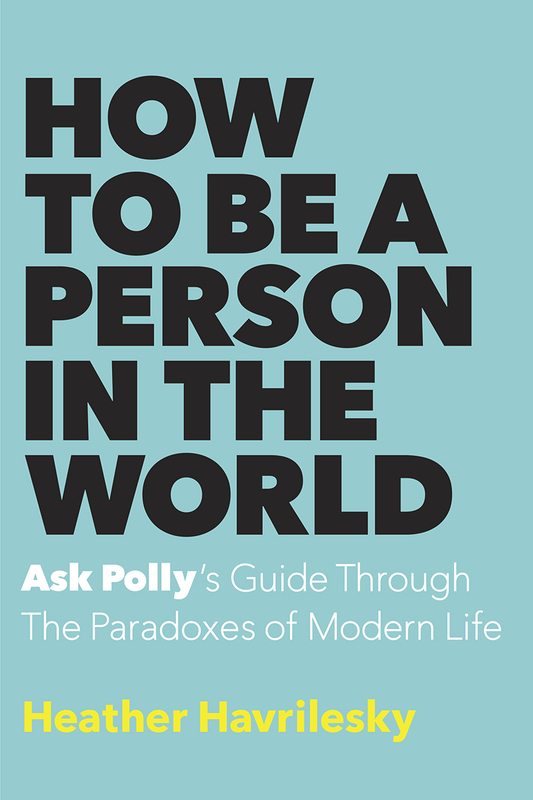 I just got the cover design for How To Be A Person In The World, which comes out in July of 2016, and it's making me very happy. The book is filled with brand new Ask Polly columns along with a small handful of favorites. I feel like this book represents the best writing I've done in my career, so seeing the cover is pretty satisfying. The book doesn't come out for a few months, but if you feel pretty sure that you're going to buy it, please do me a giant favor and preorder it now. Nothing helps a book more than a preorder. It's the easiest way to insure that the book will make it into bookstores, and get noticed by people who wouldn't otherwise see it. Advice columns and advice books are omnipresent at the moment, but Ask Polly always has been its own strange slice of madness. That's why I love writing it, because I never really know how it's going to come out. I only know I'm going to put all of my heart and soul into it each week. I want to keep doing this for years. Thanks for all of your enthusiasm and support so far, and thanks for helping me to keep doing what I love the most.